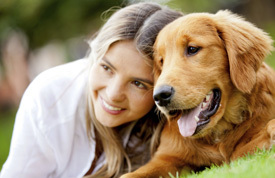 We encourage you to bring your pet in to have a firsthand experience in our Kingston practice. It’s easy to get started. Email us below with your questions or concerns about chiropractic care for your pet. We appreciate the opportunity to field questions, clear up concerns and put you and your pet at ease before their first visit. Arrange a private consultation for your pet and to determine if they’re likely to be a good candidate for care at Irrefutable Health. The sooner you take action, the sooner we may be able to help your pet. Contact us and get started today!